At 2:04 PM, Dianna Hyland has finished. And I think this might be a PR! Way to go Running Chick! 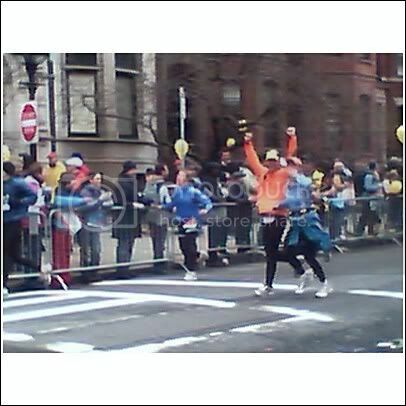 You rocked the Boston Marathon in tough conditions and PRed! You are a true inspiration! Looks like that Jeff guy did okay too. You guys are great. Thank you Michelle and Jeanne for all the phone updates and phone pictures! I couldn’t have blogcasted without you!